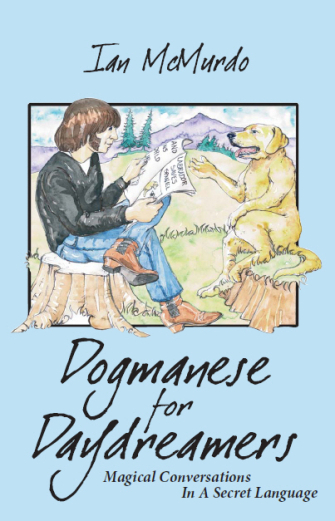 Dogmanese For Daydreamers charts the life of the author’s very first dog, a loopy Labrador called Cindy, and the huge influence she had on Ian and his young family, in the aftermath of his 24-year-old wife having been diagnosed with Multiple Sclerosis. The book focuses on the intense emotional bond Ian formed with Cindy and, in particular, how they learned to communicate with each other through the development of a sophisticated human–canine hybrid ‘language’, and it would completely revolutionise his young family’s approach to dealing with serious adversity. Dogmanese For Daydreamers is an impressively researched, deeply-moving emotional rollercoaster of a book, told with blistering honesty and often laugh-out-loud funny. It is a must for dog-lovers and, in particular, for Labrador owners. This title is available direct from our Bookshop.